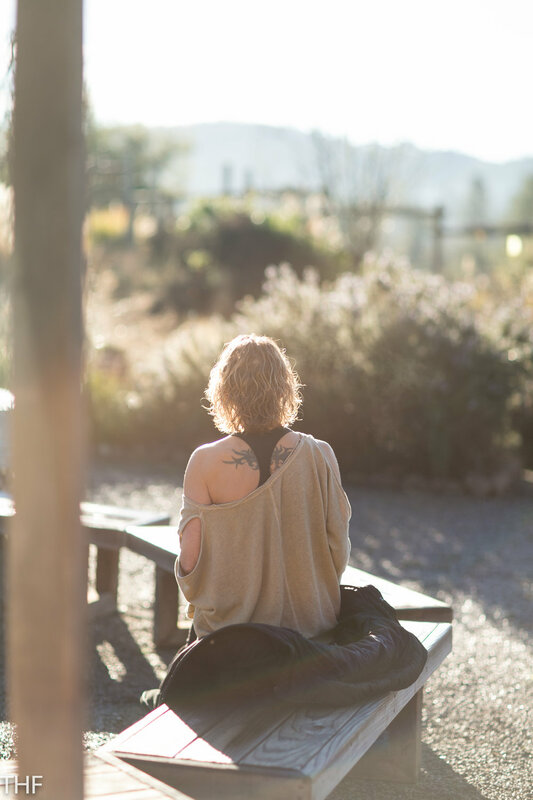 Catie Fitzgerald is a three-time Healing Farm retreat participant. I first met her smiling face at the Paleo Reset retreat with Chris Kresser. It wasn’t the first time I spoke with her though; she made a point of calling me right before she booked her spot at that retreat to let me know how inspired she was by what I was trying to do with The Healing Farm and The Healing Farm | Retreats. You could say she was one of my first cheerleaders and supporters. Catie has fascinated me ever since with her intelligence, grace, zeal for life and zeal for learning and health. She has recently completed her training to be a nutritionist in a midlife career shift from twenty years in financial planning. I am constantly impressed with her quest for knowledge and her brave midlife career shift and feel she is the perfect fit for speaking at our upcoming retreat. It was at a small group discussion I put together at our Women’s retreat this past January that another retreat participant suggested I not only put on a retreat for those going through a shift from midlife to retirement years, but also that Catie be a speaker. As I started putting together The 3rd Act Retreat with our main workshop speakers, Patricia Cavanaugh and Ellie Klevins of The 3rd Act, I realized I still wanted a nutrition component since I strongly feel that getting a solid base to your health in your mid-years can help propel you to have the energy and focus to strive for a more meaningful and true “you” for your later years. Getting down to the bottom of chronic conditions (pain/illness and discomfort) is a key part in having the energy and capacity to free your mind to move forward. Personal finance is also key to releasing yourself from the unwanted weight of financial stress. Catie’s expertise in both areas, as well and her own decision to make big changes in her midlife to prepare for her 3rd act should be an inspiration to us all and I can’t wait to hear what she has to say about nutrition and finance at the fall retreat. Finance in particular since I feel like I’ve already figured out the nutrition part (now it’s just a matter of sticking to it! ), but the finance part is still pretty shaky for me. Especially while in the process of letting go of the “old” business and starting the new as I prepare for my own 3rd Act. Let’s hear a little from Catie! In preparation for conducting the personal finance session at the upcoming retreat hosted by The Healing Farm (The 3rd Act: Renewing Your Purpose and Passion Midlife, I was astounded to discover that the topics I deemed important to teach in 2006 at the tender age of 41 lacked the substance required by the 52-year- old I am today. My life has changed so much, and I’ve grown in many ways including in emotional intelligence, comfort in my own skin, and maturity (not sure what that means but I’ll leave it for now). The content, although accurate, is dry and lacks the visioning that I insisted all my clients go through via several activities as I helped them plan for retirement. Why was the 41-year- old version of me able to help my clients dream of retirement but when it came to helping them live it, I fell short (if I use the courses I created for retirees as a yardstick)? The 52-year- old version of me knows what happened. That 41-year old really didn’t relate to the mid-life retiree. She was still building her professional life, building several businesses on the side (multiple streams of income, baby!) and had recently purchased her first house. Retirement seemed so far away from her “now” and so foreign to her modus operandi of work hard, save, and invest. She understood the mechanics of actually retiring, and she was good at teaching others how to do it, but she lacked the connection to the person who would someday in the near future live it. Her favorite question was, “What does retirement look like to you? What will you do with your time? Who will you interact with on a regular basis?” She liked to share her vision of retirement as a situation in which she no longer worked for a paycheck to cover her bills and expenses and instead would spend her time in pursuit of other activities simply because they filled her soul. She declared she would continue to work in a profession of her choosing regardless of the financial return. These “labors of love” plus her investment portfolio, savings account, and whatever minuscule social security benefits she received would provide for her financial well-being. The mechanics covered in my courses for retirees (see above bullet points) have value in helping people enjoy a financially fulfilling retirement. Understanding these “do’s and don’ts” will contribute to a retiree's successful navigation of the fine balance of spending and investing to prevent outliving one’s financial resources. 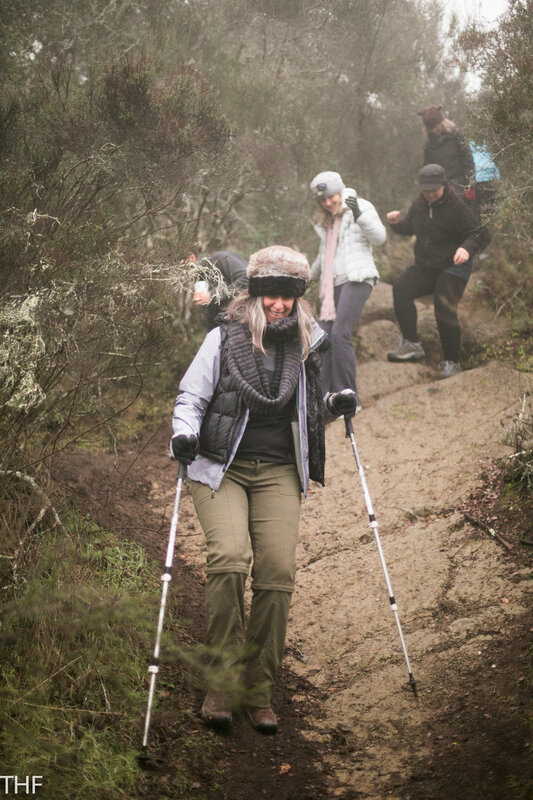 However, these suggested moves and strategies do nothing to invigorate, ignite, and inspire retirees to make their 3rd act something truly rewarding for themselves or the people they interact with on a daily basis. The well-intentioned, idealistic 41-year- old I was in 2006 had some good ideas and insights. 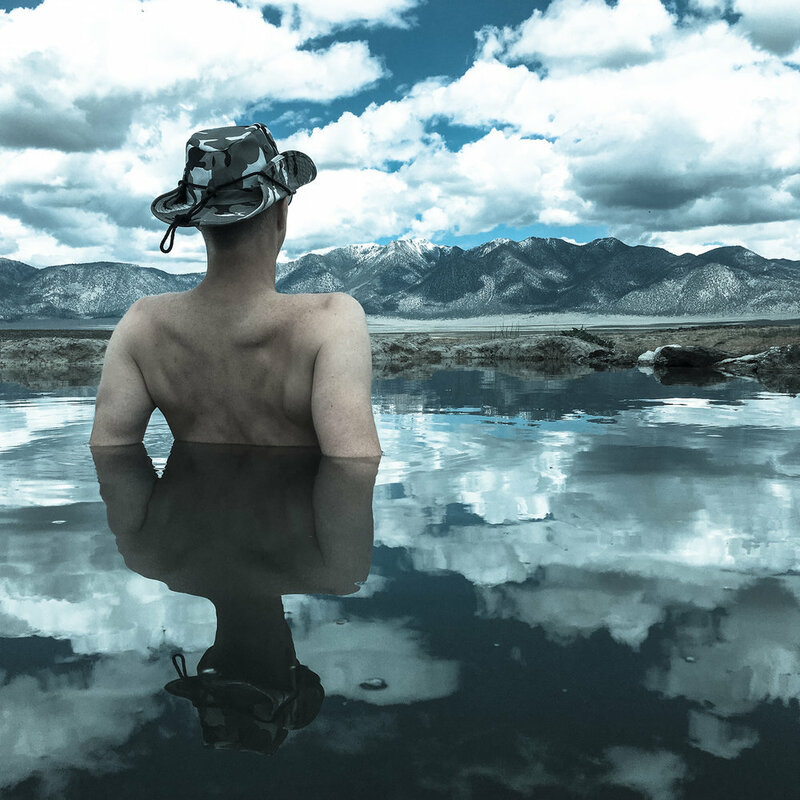 She just lacked the perspective that comes when you cross over the “mid-life divide.” I now have the perspective of one who has crossed the “divide, ” and I look forward to sharing new and innovative ideas for making retirement and your third act an adventure worth your energy, time, and commitment. Will you join me at the retreat in October? Thank You to All Involved in The Healing Farm's Women's Health Retreat! "Let your heart speak to other's hearts." Found on a yogi tea bag, yes. But it's one I saved for a couple of years and had posted on my magnet board in my office. After the women's health retreat I truly found out what that meant to me in my quest to find myself and my new career journey. Obviously it spoke to me in my time of great change and I felt moved to to keep it. As I watched several women working diligently on their "manifestation" boards at the retreat and then thrilled at the results, I realized I wanted to do one too. I didn't get a chance to complete it (I barely started going through magazines when I had to run off to set something up for the next scheduled activity - or three!) so when I took my "staycation" the week after the retreat ended, I had a chance to work on this worthwhile exercise. The yogi tea bag quote finally found its place. So did the fortune cookie fortune that's been taped to my refrigerator door for a couple of years ("Your talents will be recognized and suitably rewarded."). What the incredible group of women at the retreat showed me is that I truly do want "my heart to speak to other's hearts". On day one of the retreat when I was introducing myself and the team, I mentioned that I am not a specialist. I'm a generalist. That some of the women at the retreat would surely know more than me about health and nutrition, but what's becoming increasingly clear is that I like bringing people together. I want to bring educators and practitioners together in a beautiful setting to teach natural health solutions participants can build into their everyday lives. I want to share the joy and healing journey in my heart with anyone who will join me and I realized that I could actually do that in this new career journey. 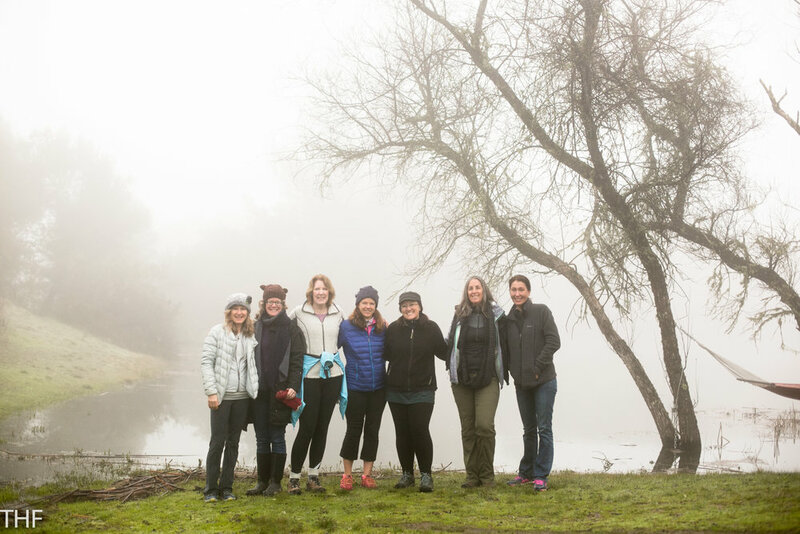 I learned as much from the women at this retreat as they learned from the talented educators and practitioners I brought together in the beautiful place that is Mayacamas Ranch. 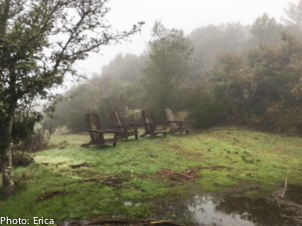 So at long last, I want to share my absolute gratitude to the participants, the team and Mayacamas Ranch! Thirty beautiful women and five team members. I was blown away by the enthusiasm, sharing, encouragement, breakthroughs and loveliness of the group of women who came together for this retreat. We welcomed women of all ages even though the retreat was focussing on menopause and indeed we had a wide range of ages. My guess? Maybe from early 30s to early 70s. What a wealth of knowledge coming from these wise and wonderful women. Old friendships were deepened, new friendships were forged. We ate, we hiked, we laughed and we cried. We had mothers of young children who weren't even close to menopause but who wanted to sincerely learn how they could best prepare their bodies for big changes (or who just needed to rest with clean food, exercise, fresh air and a digital detox). We had mothers of young children who were getting close to menopause, we had women who had never had children, we had grandmothers. We had cross-generational inspiration, we learned together and we had fun! We were all already talking about the next retreat so I need to get one on the calendar! Geez this woman knows her stuff. Of course I shouldn't have been surprised that one of Chris Kresser's staff clinicians at The California Center for Functional Medicine would be so knowledgeable. At last year's retreat we had the brilliant and passionate Chris Kresser himself as our keynote speaker and were all blown away by how knowledgeable his staff nutritionist Kelsey Kinney of "Healthy Gut, Healthy Life" was. How fortunate were we this time around to listen to two well-planned and informative lectures by Dr. Nett about what you can do to best prepare your body for menopause through nutrition and also about hormone balance. I wasn't surprised that Dr. Nett added several new patients to her calendar during and after the retreat! THANK YOU Dr. Nett! This was Emily's second time speaking at a THF retreat and there's a good reason for it. I recognized through my own journey through midlife that it wasn't just my body going through major changes. I felt like in addition to Dr. Nett's contributions about the physical aspect, we needed to also cover the emotional experience of midlife. Emily graciously covered life-lessons learned through motherhood for all the mothers in the audience, but all of those lessons learned early on through her own personal growth translated well into how to gracefully and solidly tackle the emotional roller coaster that is midlife and menopause. Every time I hear Coach Emily speak, I pick up little nuggets of information that later on end up applying to (pick one or all): a wake up in the middle of the night panic attack (something I never experienced before menopause), a stewing in the shower about something my husband said that made me mad, a sitting in traffic and wanting to flip someone off or even an emotional transition to a new president. My favorite tip from Emily that I use all the time in my life is how to not panic. If I feel some kind of emotional turmoil coming on and want to react, I can now reach into my "Coach Emily toolbox", step back and consider whether this is something that is going to end the world or if it's something I can truly tackle without false emotion. I will forever be grateful to Coach Emily for her support, enthusiasm and contributions. She helped me through my true midlife crisis when I realized I was never going to be a mother and she will always be in my heart for opening hers. Amanda Crutcher knows anatomy and ohhhh how to work with those yoga therapy balls! She cares so deeply about her participant's safety and bodies. 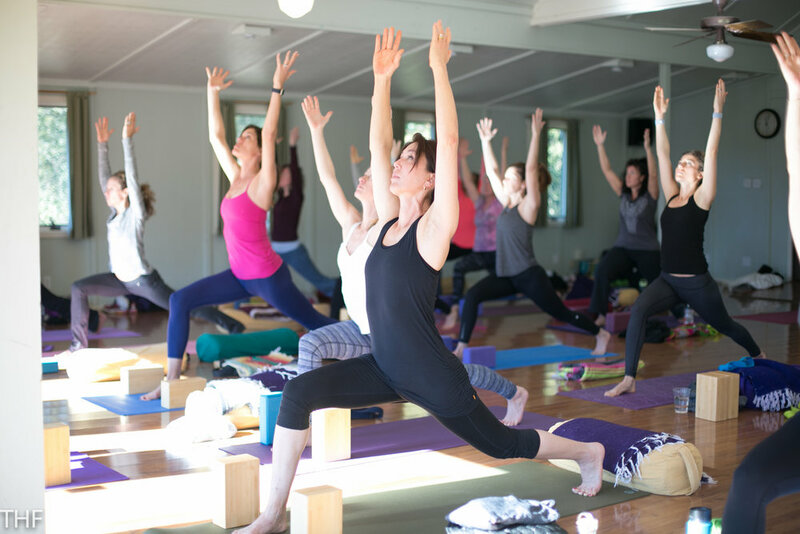 Probably because of her Iyengar yoga background, Amanda really focusses on the physical aspect of yoga making sure her participants understand the postures and the anatomy behind them. It's really good training - especially for beginners and to prevent injury. She also brought out yoga therapy balls at her last class. From a practicality standpoint, using the balls at home (safely) is great. It's like being able to give yourself a massage and is great for deeply loosening those knots. I learned this technique at Rancho La Puerta with tennis balls, but the various sized yoga therapy balls were even better. Amanda also graciously opened up her one hour twice daily meditation practice to all the attendees. This is where her deep spirituality came out. Her calm presence and grace surely comes from her deep meditation practice. Something I hope to explore with her in the future. This was Diane's second THF retreat as well. Her talented hands were in great demand. Who wouldn't want a glorious massage by well-trained hands while on a retreat? Diane ended up completely booking up, so I was thrilled to bring on my dear friend (and someone who has done massage on me countless times) Angela Bausch. Thanks so much to Angela for bringing her experienced hands to our retreat! Diane also brought her love for and practice of Feldenkrais to this retreat. As at the last retreat, a lot of the participants had never heard of Feldenkrais, but most experienced beneficial effects through this gentle movement practice. Once again I can't thank the staff at Mayacamas Ranch enough. Miguel once again knocked the paleo ball out of the park with his cooking, the rest of the staff was warm and welcoming and the property - even in the wintertime - was as peaceful and beautiful as ever. Seeing the milky way in the clear winter night sky, the fog in the valley on our early morning hike, the steam coming off of the pond, hearing those funny frogs loud and clear every night when going to bed - and that cozy bed! 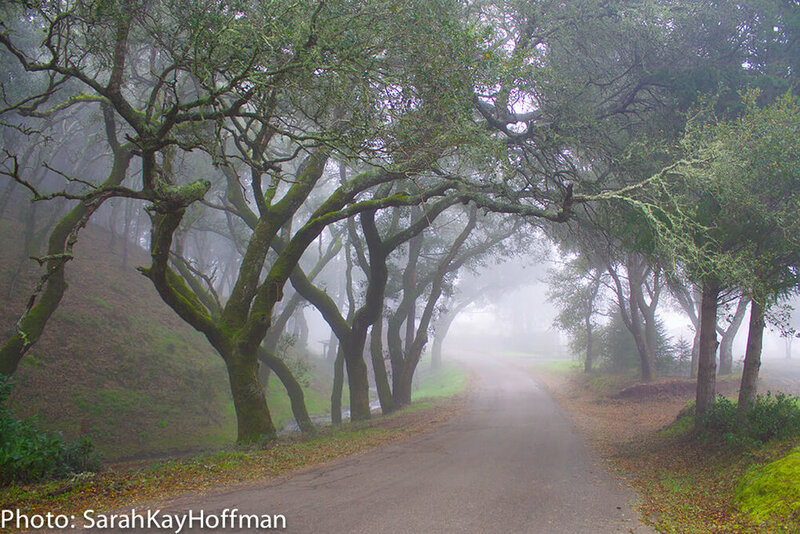 You can't go wrong with Mayacamas Ranch as your home base for a retreat! How do you top off what you know may be an enlightening weekend for your participants? I always say I don't want The Healing Farm to be too hippie dippy or new age and then I bring in a man named Karma. 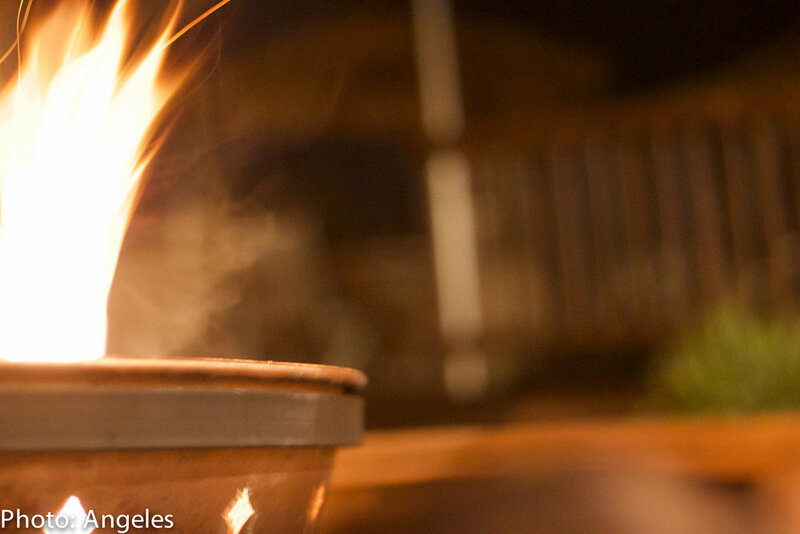 But, I've been going deeper into my own meditation practice as I move through this midlife of mine and all its changes and have been inspired by the crystal bowls meditations I've experienced at Rancho La Puerta. Since I was introducing various forms of meditation into this women's retreat I thought it might be nice to top off the last night with a crystal bowls meditation. My intention was to have Danielle Hall of Sound Embrace perform, but she ended up being unavailable. Through other contacts I found this man named "Karma" who plays tibetan bowls. He performs all over the world and had even performed at Grace Cathedral in San Francisco for a labyrinth meditation a few nights before the retreat. Now this is a man who has lived life and he didn't hesitate to tell us all about it. I love great characters who embrace life and whatever comes their way and although I might have been able to do without the high pitched conch shell blowing, it was great to be in a room surrounded by women I brought together, surrounded by deep vibrating sounds delivered by someone who has so obviously embraced life fully and taken the less-traveled path. Karma's heart truly speaks to other's hearts. I was so grateful he joined us to top off the retreat. 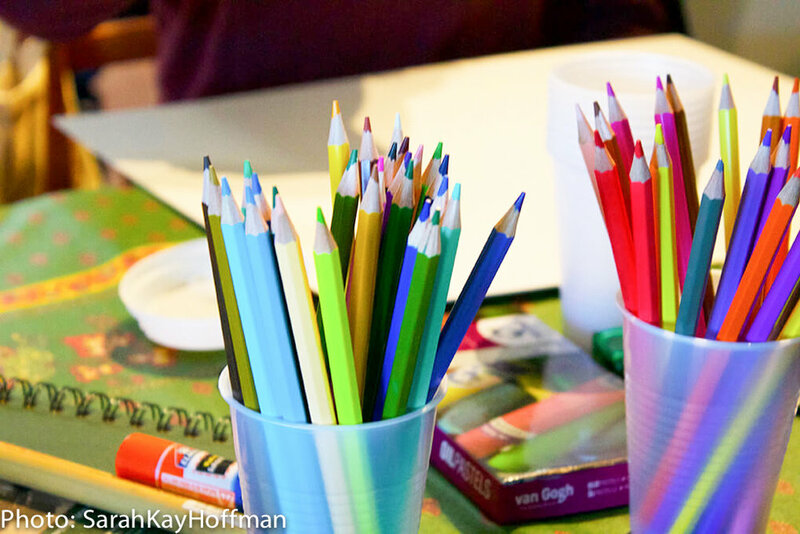 So what did I get out of The Healing Farm's Women's retreat? Hope and especially ENCOURAGEMENT for the future of The Healing Farm AND This Manifestation Board Illustrating my Hope for My Future and the Future of The Healing Farm. I think it's no coincidence that this board came out of me on inauguration day, 2017. My hope is for a bright, inclusive and healthy future for all. As many times as I've muttered "Namaste" at the end of a yoga class, I've never known what it meant and never bothered to take the time to look it up. Coach Emily taught us that one of the translations is "The light in me sees the light in you." I feel like we all experienced this at the women's retreat. I certainly experienced sharing my heart and felt like my guests shared theirs with me. I think I'm ready now to take the next steps with The Healing Farm. It's still scary and I still have doubts but when a dear friend sends you a link to Sia's "The Greatest" when you express fear of the next step you listen to her heart speak to your heart and so it goes and so it goes. Let your own midlife be a midlife renaissance no matter how scary it might be. Moving beyond your fears and your comfort zone will help you breakthrough to be your "greatest". See you all at the next retreat!